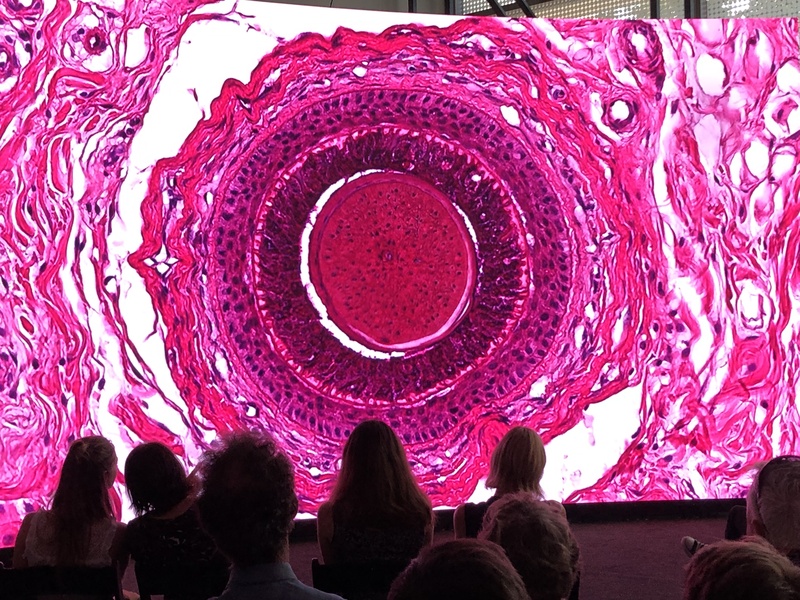 A large-scale installation of past and present QUT Science in Focus images has been launched on the new digital canvas at QUT CreateX before a live audience. The Science in Focus: Take a closer look exhibition transformed important QUT scientific research into art through a 12-minute video presentation accompanied by an original soundscape at the QUT Creative Industries Precinct. Science in Focus is an annual competition supported by the QUT Institute for Future Environments (IFE) which celebrates the most striking, original and unexpected images and video of QUT research with impact. 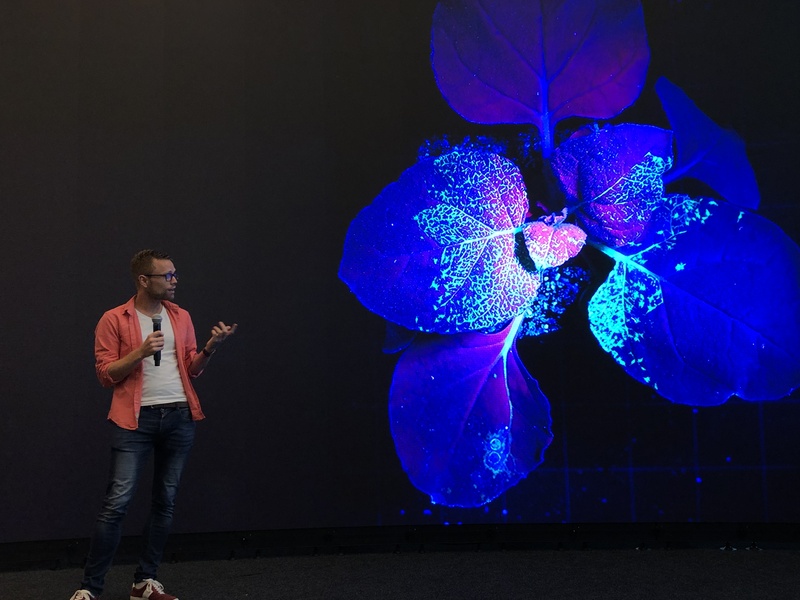 The launch was attended by a number of the scientists behind the images on display, including Dr Steven Charlesworth who shared insights from his 2017 Science in Focus winning image The power of fluorescent proteins. This powerful image captures the movement of a virus tagged with fluorescent dye as it spreads through the vein of a plant. During the Q&A with the audience, Dr Charlesworth revealed that he is currently developing a social enterprise Bjarkanar that’s building high-tech greenhouses in a remote Western Australian indigenous community. Bjarkan aims to help promote self-sufficiency, community health and economic growth. At the conclusion of the exhibition, QUT CreateX Festival Director Mark Radvan reflected on the importance communicating science to a public audience, particularly in a time where there is growing mistrust of experts and technology. The Science in Focus: Take a closer look exhibition at QUT CreateX celebrates a collaboration between QUT's Institute for Future Environments, QUT Creative Industries and the talented QUT staff and students who submitted the fascinating images to the QUT Science in Focus competition over the last five years.